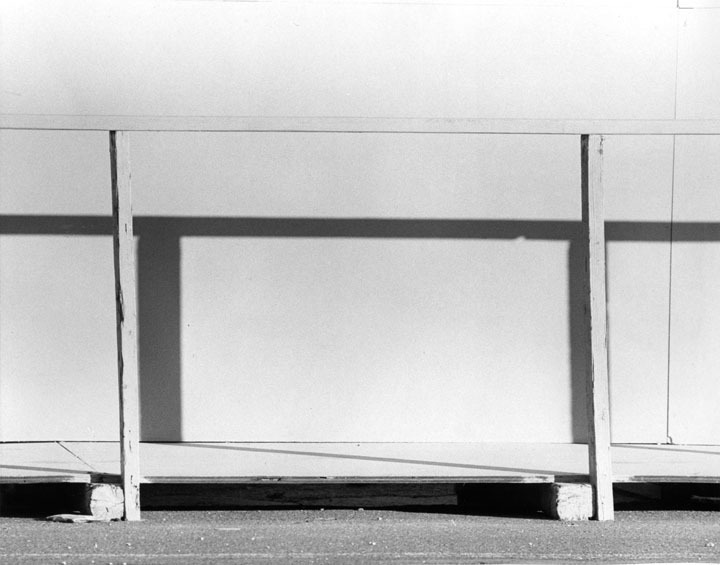 The photograph examines the interaction between the railing and its shadow. The shadow seems to oppress and dominate while the real railing tries to recede into the light. Nickel worked with this phenomenon of the real and its shadow in his early hard-edged painting abstractions.